An attempt to look into the knowledge and skills of Risk Management required in developing as well as monitoring implementation of the operational plan so that effective and efficient workplace practices are provided within the productivity of the organisation along with its profitability plans. In order to facilitate the operational plan of an organisation, there are systems as well as procedures to be developed and then implemented at a strategic level of the Risk Management(Brennan, 2011). Table 1: The no. of stores Starbucks own across different countries. Figure 1: No. of stores Starbucks owns in different countries around the world. The company was founded in the year 1971 as a roaster and retailer of Seattle coffee beans and has been expanding rapidly. The actual growth in the company began from 1987, when it started opening two stores every single day. However, this company has also made some losses while it was trying to expand in the British Columbia and Midwest in its late 1980’s (WSJ, 2014). The revenue that the company earned in the FY 2013 was US$ 14.89 billion. Its net operating income for the FY 2013 was US$ 325.4 million. The company owns total assets of US$ 11.5167 billion in 2013. Its total equity in the same year was US$ 4.48 billion. The number of employees recorded on May, 2013 was 160,000. The company has its subsidiaries as Starbucks Coffee Company, Torrefazione Italia, Teavana, Tazo, Seattle’s Best Coffee, La Boulange Bakery, Hear Music, Evolution Fresh, and Ethos Water (WSJ, 2014). Starbucks has already set up certain strategic goals for its coming 1 year. Out of the different goals, this Hospitality Operations And Risk Management work would like to emphasise on the continuation of expanding its international market share in Asia. 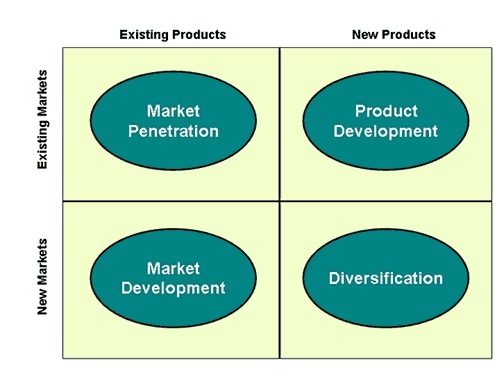 As the goal the researcher chose for the next two years in developing Starbucks is to expand internationally to those regions in China, the use of Ansoff’s Matrix can help in deriving the overview how the the goal can be achieved. The company can get into working with its existing products in the new market, i.e, Asia. Hence, by developing the market, it can look into enhancing its earning potentials. Market development is that growth strategy where the business would seek to sell the existing line of products into newer markets. This could be done by either exporting the coffee and other products that Starbucks sells into newer countries in Asia. Once it has developed a certain stage of growth in the market of Risk Management, it could give newer dimensions to the products or its packaging. It could move from the selling through retail medium to e-commerce models. Depending upon the living standards of the countries in Asia it is targeting, it could use different policies in pricing according to the different kinds of customers, or by creating newer market segments (Schawel and Billing, 2012). After the development of the plan, its approval from one of the senior managers of the firm has to be taken before beginning its application. Employees- The modes of communication could be through e-mail, or regular meetings organised between the employees. The necessity would be to clearly define the objective through which the goals are attained. Customers- The customers could be communicated through the product ICT. The objective would be to take into account the needs of the receiver. Investors- The investors can be communicated through the different meetings that are held in the case of the major investors or through advertisements and news on different newspapers for the general investors. The main need would be to ensure feedback opportunity so that the message is clearly understood (Perrini and Tencati, 2006). Government- The communication can be directly done by sending e-mails or postal mails to the concerned authorities. Media- By sending in Press Releases or organising press conferences. Suppliers- Through telephone calls, e-mails and meetings with them (Prell, Hubacek and Reed, 2009). 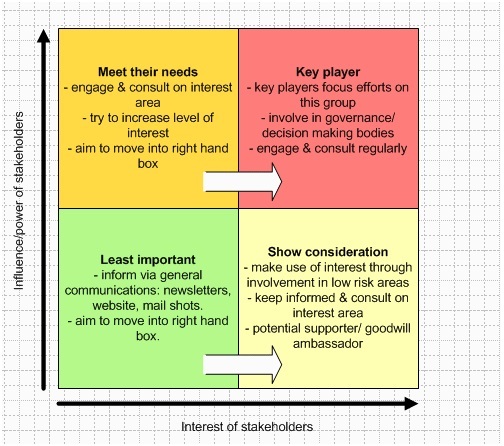 Among the stakeholder, the key players are the employees, customers are the sections whose needs have to be met, media seems to be least important and investors and suppliers having had to be shown consideration in the present strategic development of Risk Management operations of Starbucks. Demand of Risk Management- Manage all the actionable activities that are involved in generating demand of the product as well as services that are offered by Starbucks. In this the company has to check the market responsiveness, by checking the target market, its coverage, its share and the opportunity or threat index. There has to be a careful monitoring into the product portfolio, the channels through profitability index can be enhanced as well as how much of the products can be configured. Moreover, there is sales effectiveness and effectiveness of product development that has to be looked into (Kerzner, 2011). Supply Management– All those actionable activities which are directly involved with the satisfying of demands for all the services and products that the organization offers. Supply management also depends upon customer responsiveness, supplier effectiveness and operational efficiency, where on-time delivery of the products, performance into customer care, supplier agreement and its effectiveness, and many other factors have to be taken into consideration (Hastings, 2010). Support services- The rest of all actionable activities that are involved in supporting the organisation are taken care of in this segment. The services work within the companies and offer services to its internal clients. Their operation is on business principles and they work in providing internal services at client acceptable cost as well as quality, when they are assessed against alternatives (Kerzner, 2011). Financial resources- Budgeting for expansion, and spending whatever it takes so that there is infrastructural support for future venture possible. Having a domestic overseer for the niche market, local banks and financial institutions could be tapped in to bring funds for the venture (Baker, 1999). Technological resources- The use of right kind of technology, either with the ones that are present in the local markets (if feasible), or carrying in the technology to maintain the existing product standard in these new markets. Of course, the expenses incurred in shipping these technologies would also have to be considered. Human resources– Tapping into the local labor, and employees from the market where the expansion is happening is needed. It would not be cost effective to be employing people from the USA to work in the Asian markets. Hence, hiring local managers and local staff from each region would be the option (Kelliher and Perrett, 2001). Recruitment and induction strategy- as setting up new stores would require employing new set of workers, who are from the localities expansion is happening; the most cost effective would be online recruitment. While doing the selection of the employees, the cultural values of the place have to be taken into consideration along with the kind of work culture that is predominant in that locality. The company would have to make certain modifications according to the demographic and cultural variations the place has from the company’s parent environment (Lashley, 2000). Initially conducting interviews over the Skype, through written tests and telephones could be the way. However, as Starbucks is involved with food and beverage industry, it would eventually have to take live interviews of the chefs from the process of induction. A proper training session would be required to imbibe the company’s strategies and work mode in these areas. Physical Resources- The physical resources refers to the tangible property like the equipments, office and ingredients for the product. A proper check into which sections of the chosen city has the maximum potential to draw customers and generate good market is need. A good plan into the infrastructural resources like, constructing the café’s and other offices would be required. Once the infrastructure is taken care of, logistics and other office requirements like ergonomics, equipments and machines to run the outlets telecommunications, Computers, and so on would be required (Hastings, 2010). From the above table 3, it is evident that huge disparity exists between budget and actual resulting in variance for the current financial year. Except for other overheads, all components showed unfavourable variance and are also areas of underperformance. In this context, the highest unfavourable variance is reflected in net profit with a variance of 72.80%. Preparing budget based on flexible method will enable the firm to make interference when and where variances or any deficiency incurs (Admati and Pfleiderer, 2008). Finance manager needs to be continuous contact with each department managers so that requirement of these departments can be met on time. Continuous monitoring and performance appraisal can be used by the management to ensure that staff works effectively and thereby improving their performance. Finance, human and technologies are the three resources and these resources could be effectively used by allocating resources based on their requirement and the level of contribution made by them. Database management system can be used for the purpose of recording performance of employees. Unlike other methods, this method allows management to draw numerous conclusion by identifying weaknesses and the trend of their movement. Thus, database management system will allow the firm to manage the performance of their employees and thereby being more productive in nature (Barberis, 2009). The laws mentioned in the WHS Act 2012 makes it easier in comprehending safety and health duties. By using the laws the restaurant can ensure safety policies as well as procedures. Safe workplace activities can be monitored by keeping a record of the average functions of the partners and adhering to WHS Act 2012. Also, regular meeting with the partners, updating them about the company rules and regulations, along with the risks involved with the profession and adequate training from time to time can be good methods. There would be a two-way communication between the employees and the partners, where the matters related to workplace health and safety would be explicitly discussed. Maintaining records and reports on health and safety of the partners. Maintaining the templates on fire risk that occurred and also the case of the electric short circuit and training the staff on tackling these situations. Keep a good track of the infrastructural condition, minimising the risks. Informing the partners about WHS Act 2012, Health and Safety act 2011, etc.